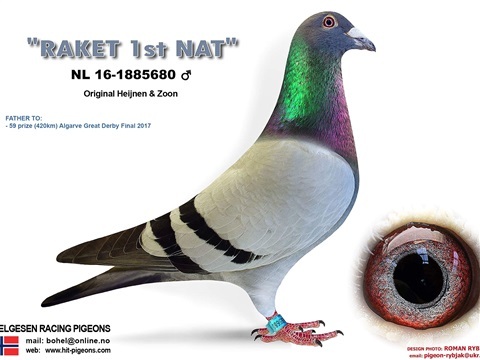 "Raket 1st NAT" is grandson "De LIMOGES" (1 INT Prov. 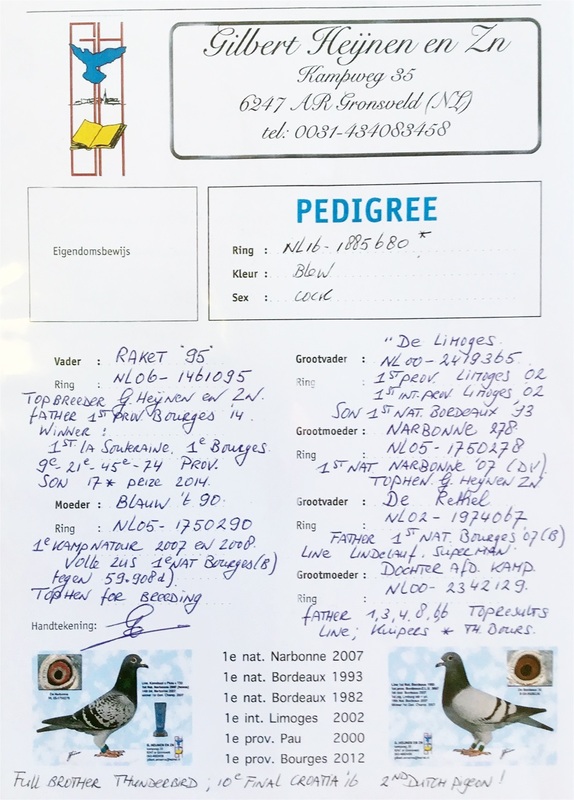 Limoges 2002) and "NARBONNE 278" (1e NAT Narbonne '07). 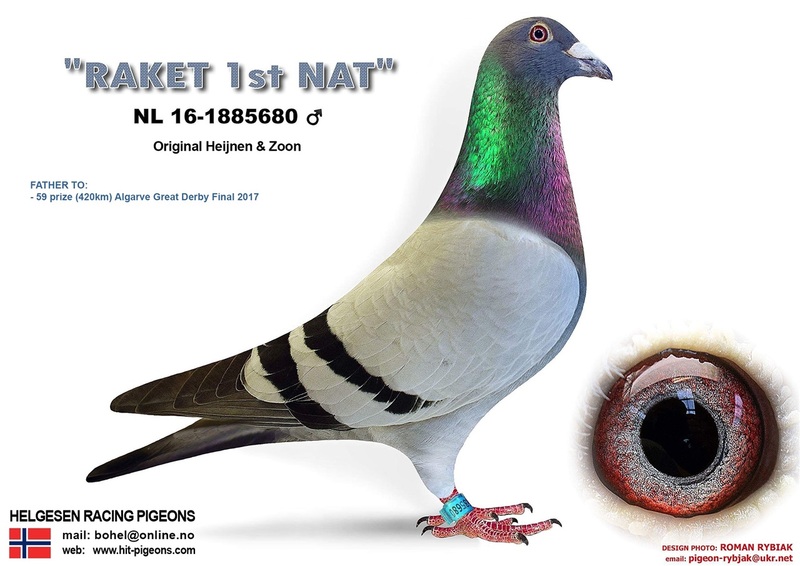 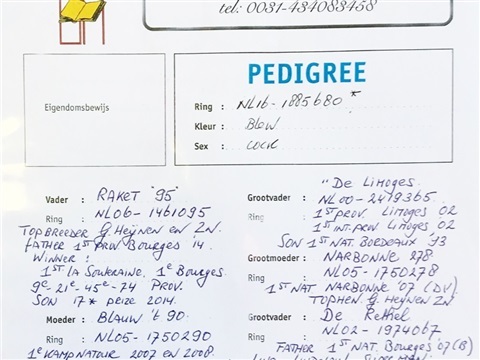 "Son RAKET 95" is full brother “THUNDERBIRD” who raced 10th prize in the Derby BROD final 2016, only 16 pigeons on the day.